Let’s face it: Motion is lotion and movement is medicine. To some degree it depends on how we practice and how we move. We will explore how our practices can improve the functionality of our joints, create more fluid integrated movement, and improve the quality of our life in numerous ways. We will look how we can improve our strength throughout our ranges of motion, and gain have better motor control in all of our asanas and all of our movements. We will play with classical yoga poses, novel variations, and learn ways to help our students do more of what is meaningful for them. As always, intelligent yet playful practice will be our guide. Carrie Owerko has been teaching yoga and exploring the relationship between body, breath, and mind for several years. She holds a Senior Intermediate Iyengar teaching credential and continues her studies with the Iyengar family by traveling to India on a regular basis, as well as by continuous and in-depth studies with her teacher, Patricia Walden. Carrie is also a certified Yoga Therapist (C-IAYT), a Functional Range Conditioning Mobility Specialist (FRCms), and a Laban Movement Analyst (CMA). Over the years she has performed in and co-choreographed many yoga demonstrations, including Live: Light on Life, performed at NYC’s City Center during BKS Iyengar’s Light on Life US National Book Tour in 2005. Before studying yoga, Carrie worked as a Movement Analyst after completing her studies at The Laban Institute in NYC. She studied theatre and dance in college and has spent years exploring human movement, meaning and communication. 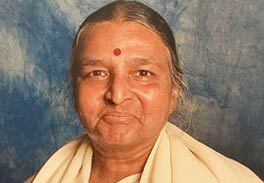 Curiosity, openness, and affection are of the utmost importance in her approach to Iyengar Yoga, as is the integration of science, yoga philosophy, and the poetic imagination in the yoga practice. Most importantly, she loves to explore the relationship of discipline and playfulness and is a firm believer in the power of controlled folly.